The 2017 AOPA Policy Forum held May 24-25 was another successful one for the record books. With the broader healthcare debate going on in Washington and across America, AOPA members came to DC to discuss the issues most important to them and their patients with their lawmakers. The big story of the Policy Forum was the introduction in the 115th Congress of S.1191 and H.R. 2599, better known as the Medicare O&P Improvements Act of 2017. This bill, among other things, would separate O&P from DME, and allow orthotist’s and prosthetist’s notes to be part of the medical record for determining medical necessity. Visit www.AOPAvotes.org to request that your lawmakers co-sponsor the bill. 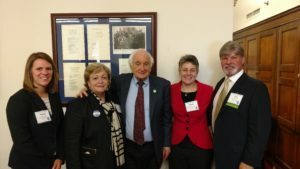 The introduction of this legislation gave AOPA members a chance to tell a terrific story to legislators and Congressional staff during the more than 395 appointments arranged on behalf of the 100 plus O&P professionals and patients that donned their advocacy hats during the May 25th visits to Capitol Hill. 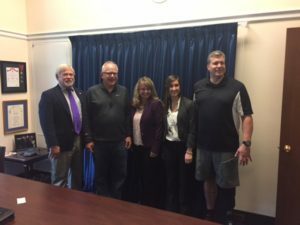 In addition to lobbying for the O&P Improvements Act, attendees also requested support for additional funding for O&P research and education, support for the Veterans Bill of Rights, and a moratorium on the Draft LCD and all related lower limb audits. Representative Brian Mast (R-FL) was the opening keynote speaker for the Policy Forum, sharing his amazing story of losing both limbs as a bomb technician in Afghanistan, and his rehabilitation at Walter Reed. 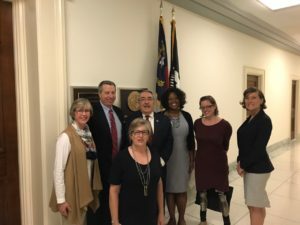 He reminded members of their value to patients like him, and set the stage for the advocacy briefings that followed throughout the afternoon program. 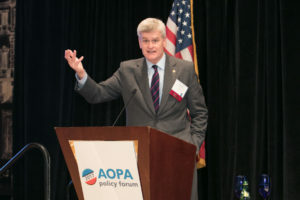 Other members of Congress joining him for the briefings were Senator Bill Cassidy (R-LA), a physician, who has emerged as a critical vote in the ACA Repeal-and-Replace efforts, and Representative Brad Wenstrup (R-OH), a Doctor of Podiatric Medicine. 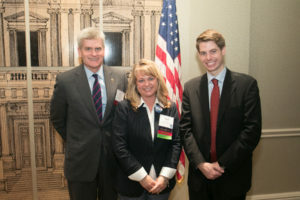 The O&P PAC sponsored a lunch for Rep. Mast, a reception for Senator Cassidy and a breakfast for Rep. Wenstrup that were all well-attended and provided an opportunity for AOPA members to engage in serious conversations about the challenges facing O&P providers and patients in a personal environment. 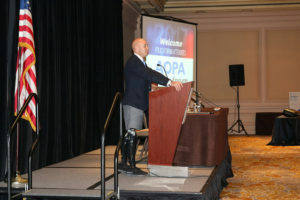 The newest AOPA member benefit, the Co-OP, was introduced at the Policy Forum. The Co-OP is an online reimbursement, coding and policy resource, that includes a collection of detailed information with links to supporting documentation for the topics most important to AOPA members. Stay tuned for more information including pictures from the 2017 AOPA Policy Forum and updates on current O&P legislation discussed during the Policy Forum. See more photos at AOPA’s Flickr site.